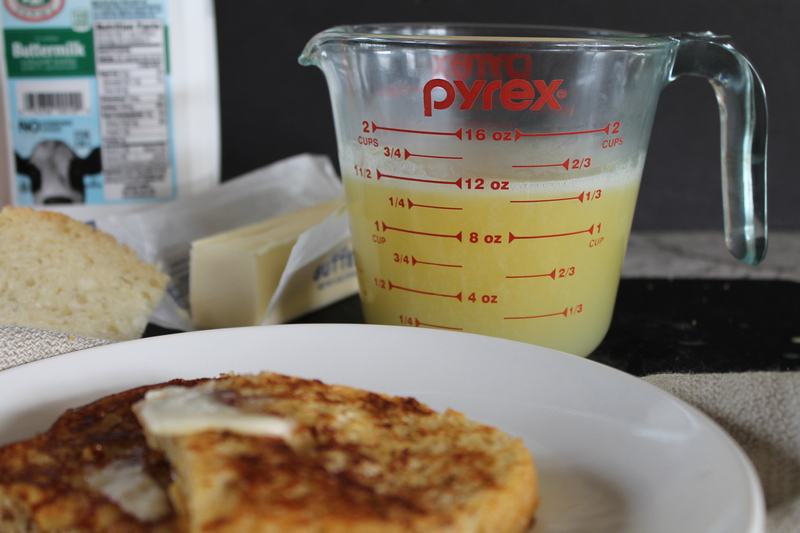 I would eat this syrup on anything (even plain toast…don’t judge me), but it’s really perfect for waffles or French toast because they can soak up a little more. Yum. It takes about 5 minutes to make this syrup, but you do need to stir it constantly as the butter melts down, so it’s also ideal for waffles—while your waffles are on the griddle, step over to the stove and whisk this syrup! Combine butter, buttermilk, and sugar in a large (trust me) saucepan over medium heat. I definitely recommend salted butter, because the salt helps to cut the sweetness of the caramel. 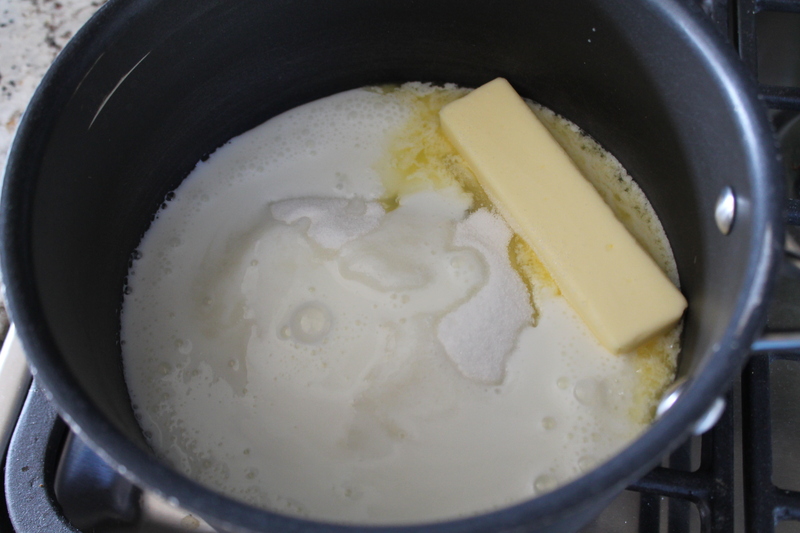 If you use unsalted butter, don’t forget to add ¼ tsp. salt to the pan. 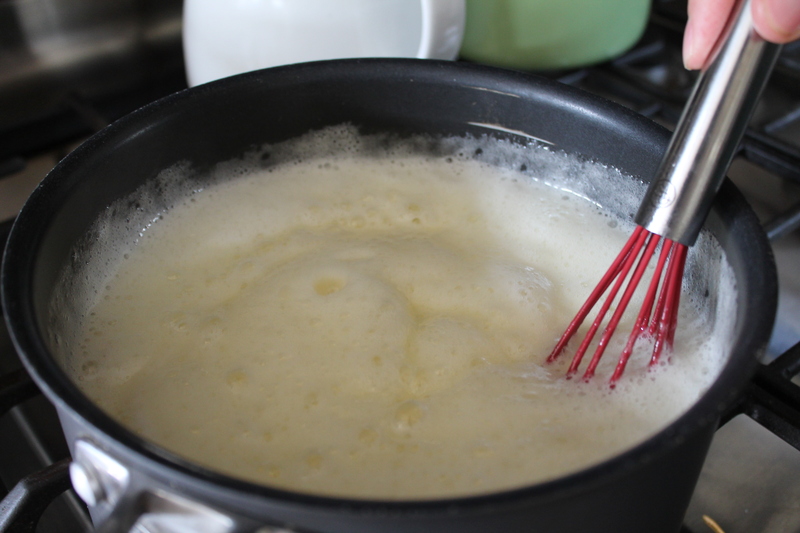 As the butter melts, whisk constantly, bringing the mixture up to a boil. Boil for 20 seconds. Stir in vanilla extract and baking soda. At this point, the syrup will foam up incredibly. And it’s done! Pour it into a measuring cup or other spouted container. Feel free to drench your breakfast in caramel sauce. Yum. 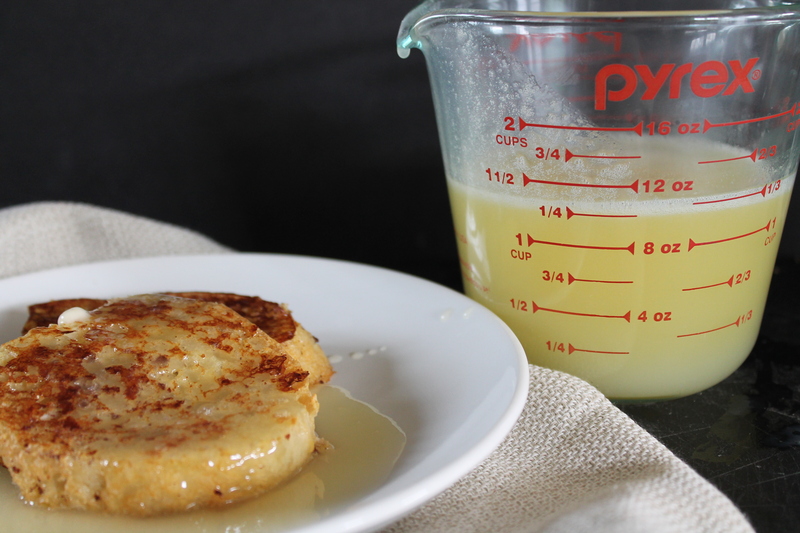 Boil together butter, buttermilk, and sugar, whisking constantly. Stir in vanilla and baking soda. The syrup will foam up at this point, signaling that it is done. Stir until most of the foam subsides, then pour into a spouted serving cup. 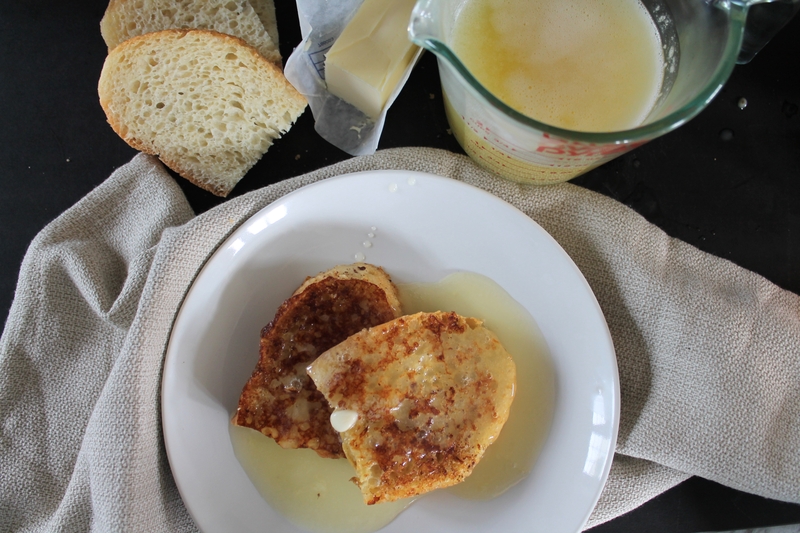 oh wow – so simple but I can see great potential here, this would yum slathered on top of a pound cake too! Oh, great idea! I must try that! I bet this smells and tastes absolutely delicious !